Information and actual market pricing for over 850,000 comics—virtually every English-language comic published since 1878. Foreign comics too! New: No-limits searching lets you find and work with any size collection or results set. New: Find > My Comics gives you one-click access to your whole collection. New: Allows you to automatically compress backup files to save up to 80% of their disk space. Weekly price updates based on actual market prices—not just a price guide. Weekly issue and title updates to keep your collection up to date with new and upcoming releases. Over 600,000 full-color covers on 4 DVDs + real-time cover downloading for Archive Edition users. A crucial aid to variant identification, as well as an amazing visual reference to the world of comics. Integrates with Atomic Avenue to let you locate hard-to-find comics; also sell comics only with your own online store! 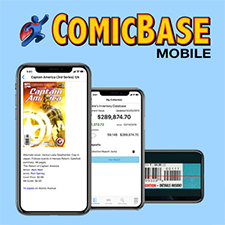 These great folks are making ComicBase even better by sending in new information and pictures using the Submit New or Corrected Data command under the Internet menu of ComicBase 10.0.7 (or later). You can help too! Get one point for each new picture submitted, or correction/addition accepted. This beta updater cleans up a glitch in creating the path to for store log files which we inadvertently introduced in Sidekick 19.4.4 (but which only affected computers which hadn't had Sidekick on it before), and changes the exported basic collection report to show the graded value of each item, instead of the NM value. If you've been affected by either of these issues, please download the update and tell us what you think at support@comicbase.com. Just Released! 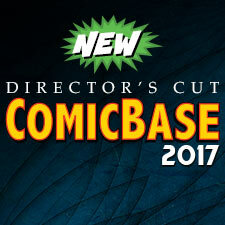 The new ComicBase 2017 "Director's Cut" Editions! This brand new pressing features over 180,000 new comic listings, an Archive Edition with over 150,000 new comic covers, expanded Windows 10 and 4K monitor support, as well as greatly improved database management and recovery capabilities. It also includes a fully updated database with over 1 million price and content updates since ComicBase 2017's initial release. Available now as a free update for registered ComicBase 2017 users with a current update subscription. Check out the link above to grab the appropriate updater, or renew your subscription to get your copy today. 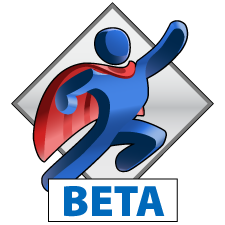 Sidekick learned several new tricks with this latest beta, featuring much quicker and smaller backups, as well as the ability to update collection stats in conjunction with the new ComicBase Mobile app whenever you use Sidekick to check for updates. We also just did a slight update just now raising the version to 19.4.4, fixing one late-breaking glitch. Note: if you have any previous updaters installed, you'll need to uninstall those first (under Add and Remove Programs) before installing the new beta. This won't affect your ComicBase data. Introducing ComicBase 19.3, plus Our 600,000 cover! Drop us a line at support@comicbase.com and we’ll get you hooked up.